Replacing Opiates with Cannabis is Finally Becoming a Reality: Where do we go from Here? Opiate abuse is a far-reaching international public health issue, impacting tens of thousands of people every year in the United States alone. As the epidemic continues to spread, the medical community is faced with the immense task of researching and developing safer, non-addictive treatment alternatives for patients of chronic pain and other ailments. The controversial and oft-debated notion of cannabis as an opiate alternative has become increasingly well-researched and gained considerable credibility in recent years. The new challenge lies in advancing the cannabis industry to the point of being a legitimate medicine that can be prescribed and administered by doctors. Opioids are among the most commonly prescribed medical treatments for severe chronic pain, yet prescription opioid overdoses killed more than 165,000 Americans between 1999 and 2014 according to the Department of Health and Human Services. In fact, the health and social costs of opioids are estimated to be as much as $55 billion a year. As such, it has become more imperative than ever that mainstream medical practitioners take notice of the cannabis plant’s powerful healing properties and shift away from potentially harmful pharmaceutical medications. 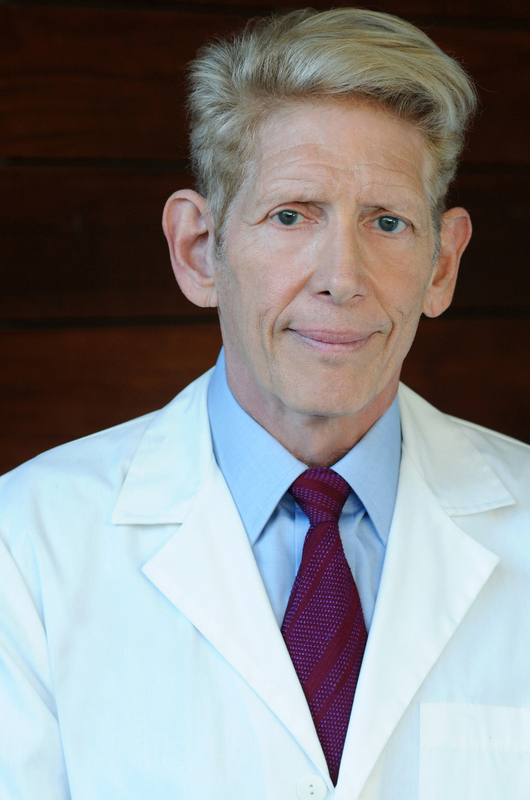 Dr. Richard Kaufman, co-founder and chief science officer of Nanosphere Health Sciences. The evidence of cannabis’ safety and efficacy is well established. For instance, in a literature review of 38 studies evaluating medical cannabis’ efficacy for treating pain, 71 percent concluded that cannabinoids had empirically demonstrable and statistically significant pain-relieving effects. In addition, a 2015 meta-analysis of 79 studies found a 30 percent or greater reduction of pain with the use of cannabinoids compared to placebos. Further, an analysis of a decade of randomized, double-blind placebo-controlled clinical trials on cannabis for treating pain concluded that cannabis should be a first line treatment for patients with painful neuropathy and other serious and debilitating symptoms, who often do not respond to other available medications. Not only is cannabis demonstrably safe and effective, but numerous studies also present compelling evidence that the prescription of opiates has dropped sharply in U.S. states and countries that have legalized medical cannabis. For example, a study in the Clinical Journal of Pain followed 176 chronic pain patients in Israel over seven months. Researchers found that 44 percent of participants stopped taking prescription opioids within seven months after starting medical cannabis. Patients cited the following reasons for using cannabis instead of pharmaceutical drugs: 65 percent reported less adverse side effects, 57 percent cited better symptom management and 34 percent found that cannabis had less withdrawal potential than their other medications.The evidence of cannabis’ safety and efficacy is well established. The tide is quickly turning as many respected doctors are beginning to advocate for the tremendous medical potential of cannabis as a replacement for prescription pills. That said, if the cannabis industry is to help solve the crisis inflicted by modern pharmaceutical painkillers, we must develop next-generation scientifically formulated products and advocate to improve their accessibility. Inhalation and oral methods of cannabis consumption have no reliable dosage as medicine, rendering them unfit for administration by health professionals. These mainstream consumption methods also have extremely low bioavailability and bioactivity. Bioavailability for ingested cannabis products is only 6 percent and for inhalation methods can be as low as 2 percent. Oral absorption of THC is slow and unpredictable, with peak blood concentration occurring 1–5 hours post dose. Similarly, inhalation methods can take up to two hours to have any effect. The next phase of the medical cannabis industry must focus on fixing problems that prevent cannabis from being a universally recognized health tool. Fortunately, scientists are making major advancements in cannabis delivery technologies, offering novel and innovative administration methods that have proven both effective and reliable. With products like Evolve’s NanoSerum™ representing a promising solution to help reduce the morbidity and mortality associated with prescription opioid use and abuse, meaningful progress is already underway. It’s been a long and challenging road to arrive at this point, but our efforts are only just beginning. Achieving long-term change on a national and international scale will require professionals from all levels of the cannabis, science and medical communities to push for advanced product offerings that provide consistent, standardized dosing in healthier, smokeless modes of delivery.